Perfect for summer. 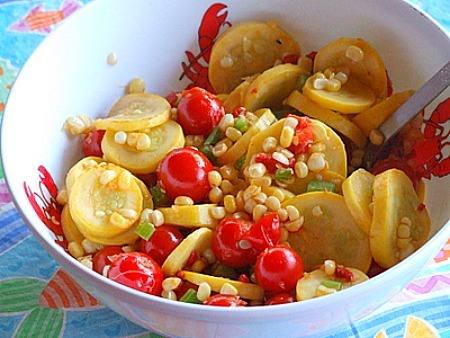 Use fresh tomatoes and basil and fresh corn on the cob! Heat oil in large skillet. Add squash and sauté, stirring frequently, for 3 minutes over medium-high heat. 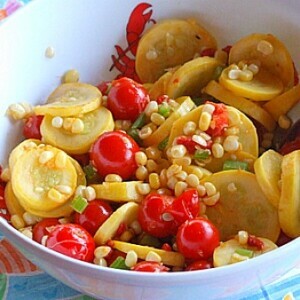 Stir in peppers, tomatoes, corn and celery (if using). Lower heat to medium and continue cooking, stirring frequently, for another 5 minutes. The vegetables should be barely cooked through and retain their texture. Stir in the herbs just before serving.